So, as you might know, LSD, or acid, wasn’t first discovered for recreational use. In fact, it wasn’t discovered naturally at all; it was synthesized in a lab by Dr. Albert Hofmann working for the pharm company Sandoz. He had been employed to investigate LSA (A.K.A. lysergic acid amide, which is a precursor of LSD, LSD-25, or lysergic acid diethylamide) for its medicinal benefits, and started making a bunch of different derivatives of the chemical. The 25th of these, which he made on November 16, 1938. LSD was picked up by the pharm and medical industry soon after during the years to follow; but, most researchers weren’t so interested in the physical effects of LSD anymore (Hofmann had noted that a lot of his LSA derivatives showed potential in lowering blood pressure and aiding the respiratory and circulatory systems). Instead, they were buzzing about the drug’s potent psychoactive effects, testing it for use in treating all sorts of different mental illnesses and psychological diseases. Acid’s potential benefits were blown way out of proportion shortly after, and some of the myths that originated during the LSD craze still circulate around today. Medical journals were boasting about how LSD could instantly and completely cure a person’s mental illness if they had a certain type of condition, without the use of any traditional therapy. They talked about the use of LSD changing sick patients’ “behavior and personality,” permanently, and eradicating illnesses like schizophrenia and bipolar disorder. These claims are all, obviously, untrue. Regardless, acid may have had some benefit, and in the years of 1950 and 1965, Sandoz sold about forty thousand doses of the drug. The company sold it in tablets, and it was known as Delysid” People suffering from schizophrenia and bi-polar disorder as well as even from autism, obsessive-compulsive disorder, and simply depression were taking tablet after tablet of twenty five micrograms LSD Delysid. But LSD soon became illegal across the states after California signed a bill to ban the substance on October 6, 1966. Overseas, however, research and therapeutic use continued. There were generally now two type of LSD psychotherapy use, “psycholitic therapy” and “psychedelic therapy, and the psychiatrists in Europe widely only used the first. Before LSD had been banned, psychiatrists and psychotherapists in the United States were eager to recommend and prescribe 200 micrograms of LSD or more, which is about twice the amount of the average dose an acid tripper take today. During psychedelic therapy, the patient received no instruction to dig up childhood memories, or to attempt to even influence their thoughts at all. Instead, the idea was that the patient would explore their conscious and subconscious on their own, learning, possibly, what they want in life and what they aren’t doing right. In a sense, psychotherapists were hoping for the doses to induce a temporary “nirvana” over just a small set of sessions that would lead the patient to life changing thoughts and conclusions. Acid therapy was also prescribed as a medicine to labelled dangerous criminals. Criminals would sometimes undergo psycholitic therapy, but most often, they would be treated to sessions of psychedelic therapy, sometimes without full “consent” (though they may have squeezed lawful consent out of the criminal, their caretakers, their caring institutions, or the district attorney). Again, the hope was that the tendency of LSD use to “enlighten” a mentally ill patient would “correct” the criminal motives and principles in their subconscious. Among the numerous times LSD was used for therapeutic and medicinal use, several reports were published celebrating the drug for its abilities and successful use in legitimate medical fields. But, often times these publications were backed by small institutions lacking credit and funding. Acid therapy was still widely accepted as a shady, illegitimate form of medicine. Even today, the idea that any permanent effect can be achieved through LSD or acid medicinal use in a “life changing” or “enlightening” way in patients (though recently, much more conclusive evidence has shown up, describing its effectiveness in people suffering from conditions such as severe depression, anxiety, and PTSD) is still heavily debated. Though Sandoz pushed the drug into fields of psychotherapy it may not have best been suited for, its doctors and pharmacists still recommended patients to follow very specific doses, taking only the exactly prescribed number of Delysid LSD tablets, and to only take the drug under instruction by a psychotherapist or psychiatrist under a safe, controlled medical environment. Sandoz was hoping for LSD use to explode in the pharmaceutical industry; they weren’t looking to push Delysid pills as a recreational drug. But by 1962, there was already an entire underground market in the United States surrounding the sale of Delysid tablets and other forms of LSD specifically for that purpose. In the following two decades, the hippies and flourishing counterculture of the era would be supplied LSD by that very market, using it definitely not for medicinal use, but simply to reach a new level of conscious, and probably more importantly, join a culture. The feds, however, took notice. They cracked down, slowly pushing states to ban LSD until in 1966, California voted to do so. But this stopped medical research on LSD, at least in the U.S., in its tracks. Researchers, psychotherapists and psychiatrists who prescribed the drug, and medical institutions had been complaining about the federal government’s intervention of their work and jobs as far back as 1965, and at the ban of LSD, they all cried for reformation. But LSD has remained illegal in the U.S. until today, since the passing of those bills. It was federally banned on October 27, 1970 with the enactment of the Controlled Substances Act. Still, a couple of clinical studies and trials took placed in the U.S. up to the 1980s. The last of these was targeted at already terminally ill patients. The tests were simply aimed at acid’s medicinal ability to relieve these people of their pains and depression about their condition and state of living. LSD was used in the hopes that the suffering people would be able to connect with people more, including their families, and gain a more calm, manageable view on life as they passed. The full use of LSD in this area still isn’t known; this study was cut early, and no further reliable, clinical studies have been done. Overseas, other nations began to follow, banning the use of LSD for both recreational and medicinal use. The United Kingdom’s parliament passed a bill banning LSD in the Misuse of Drugs Act 1971 Studies. Canada was not as harsh, but did make possession and sale of acid illegal, deeming it a schedule III drug in the Controlled Drugs and Substances Act (that was only just in 1996). But LSD trials still went on. The supporters of acid and its medicinal use trudged through the red tape and political prohibition, continuing to fight for LSD’s medicinal benefits. LSD trials were still up and running in overseas countries that had banned it as well, especially in Switzerland the U.K. Recreational use of the drug sparked up again in the United States in the early 80’s, after the rage of the counterculture had subsided and peace had finally replaced the Vietnam War (along with rise ravers who would take acid alongside ecstasy (MDMA) and club the night out). After William Leonard Pickett and Clyde Apperson’s LSD run was busted, its use sharply declined, picking up slowly afterwards, and continuing to spread lightly today. In the past decade, its medicinal use has gained a lot of momentum, as well. An upsurge in what is described as “a will to be open minded” has taken doctors in the medical society by hold, and LSD, along with other psychedelics, are receiving more and more support for their use in controlled clinical settings once again. In late 2008, the FDA revived its studies in LSD use on terminally ill patients, and hopefully the results will continue to be promising. In 2012, another study on LSD’s ability to effectively help alcohol patients through their addictions and withdrawals came into public light, once again prompting calls for further trials to be carried out on the drug. The future of LSD in medicine is unpredictable. 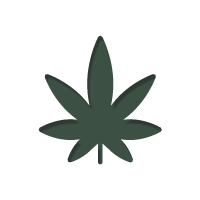 Recently, people have been showing more and more approval for its legal study and use. But several events in the past tell us that psychedelics have always been a controversial topic in medicinal fields and politics alike. Certain interests groups continue to go out into the world, advocating its benefit to people across the U.S. and the world, while other interest groups go out advocating the exact opposite. As the battle for its legalization continues, only time will tell what will become of LSD in the years to come.